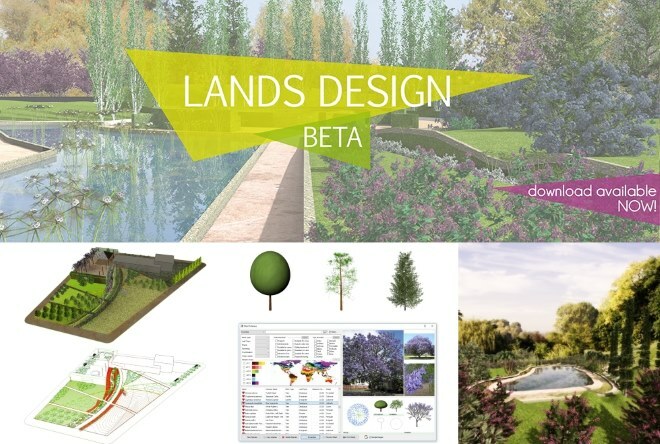 Asuni is pleased to announce the Beta Release of Lands Design for Rhino 3d. The Beta release of Lands marks a milestone for the development of the software, implementing countless user suggestions gathered from the Work In Progress phase of development. Lands is now ready for your feedback! Download the latest release and let us know what you think. Produce 2D documentation: setting out plans, plant schedules, watering systems, and zoning areas. Use the powerful terrain modeling tools. Import GIS data in your model. Extensive plant database with over 1800 species! Full plant database with technical specifications and detailed characteristic. Arrange trees, shrubs, and ground covers individually, in rows or in forests. Customize and edit each vegetation species in 2D and in 3D. Just insert plants and render! All Lands plant species have their own specific textures. Create virtual tours with the walk mode and the animation tools.